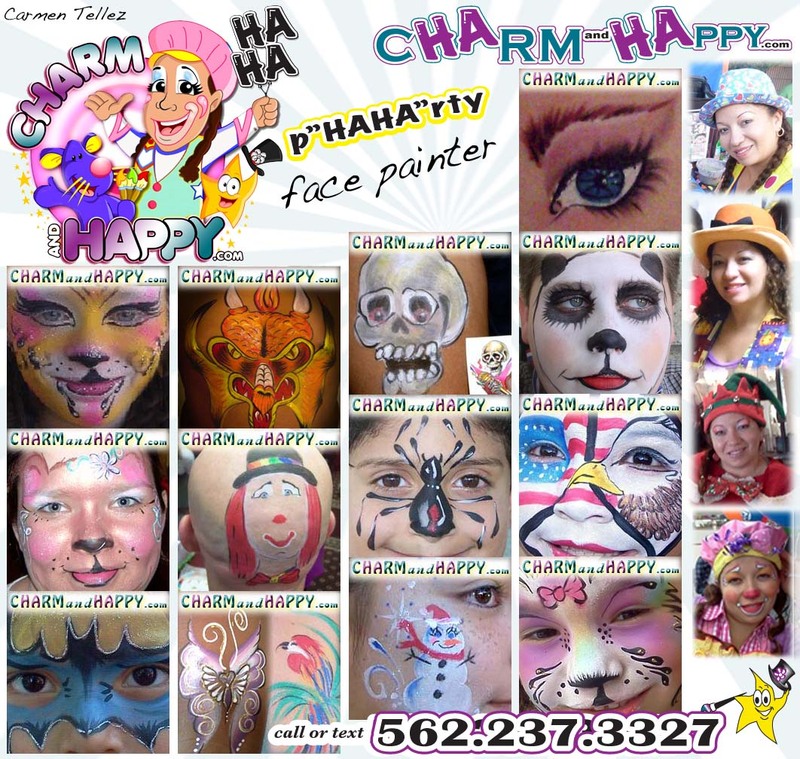 FACE PAINTERs in Menifee CA providing a clean, professional set up to arrive ready to start on time. 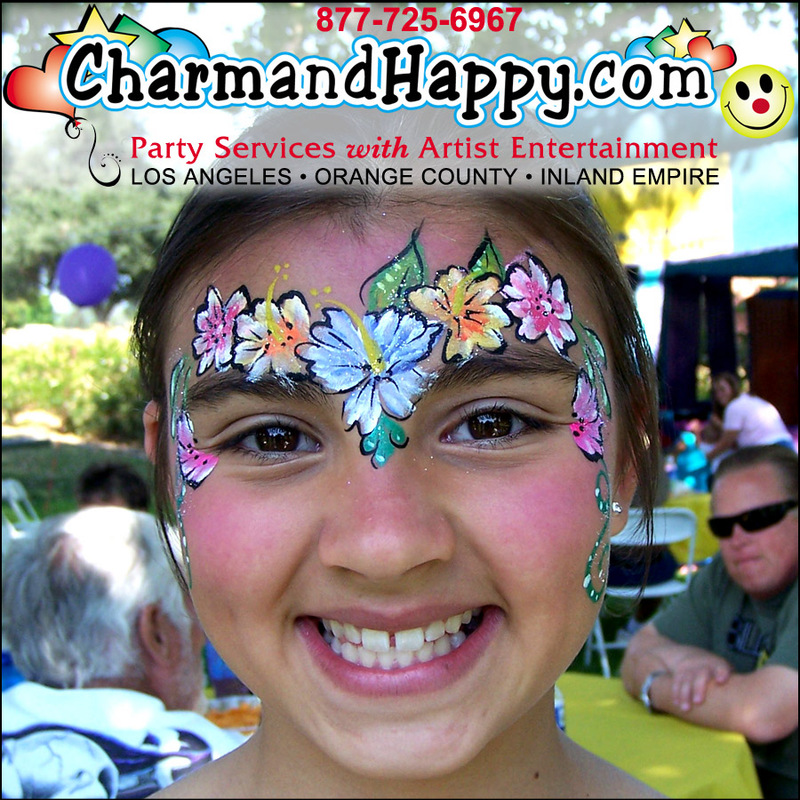 Only the best brands of face painting make-up that's formulated for skin is used at each party event. All ages enjoy getting their face and body painted. Age appropriate designs require a special skill. We can do it! 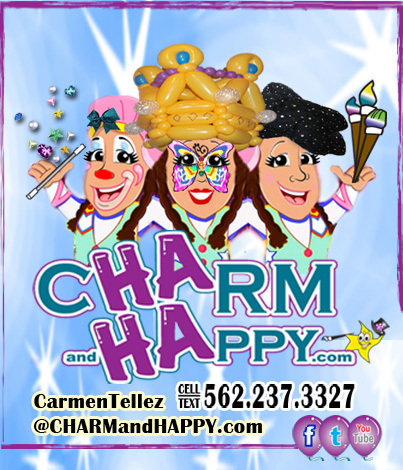 Our team creates unlimited choice of art designs for guests like cheek art, masks, full faces, animal ideas, cartoons, princess crowns, super heros or even a theme you prefer. Ask about special appointments to paint themed pregnant belly bumps. 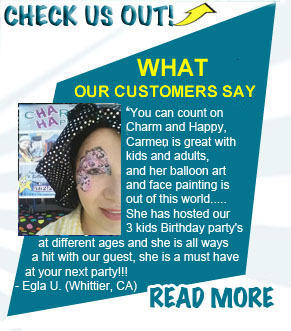 FACE PAINTING PHOTO GALLERY: See our Photo Gallery for more pictures of a variety of artwork by face painter Menifee CA Carmen Tellez. 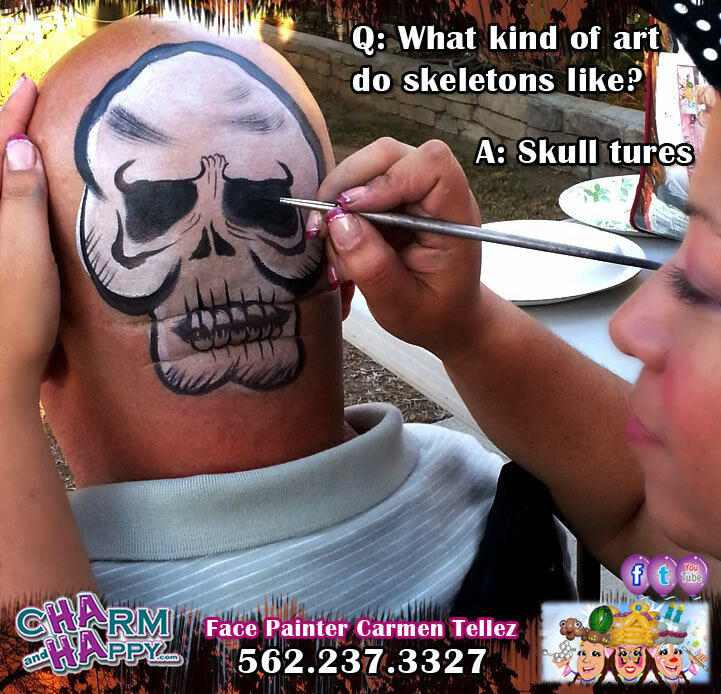 Face painter clients in Menifee CA know Skulls become more popular even when it's not Halloween. Sugar Skulls for Dia de la Muerta (Day of the dead) are prettier all the time. 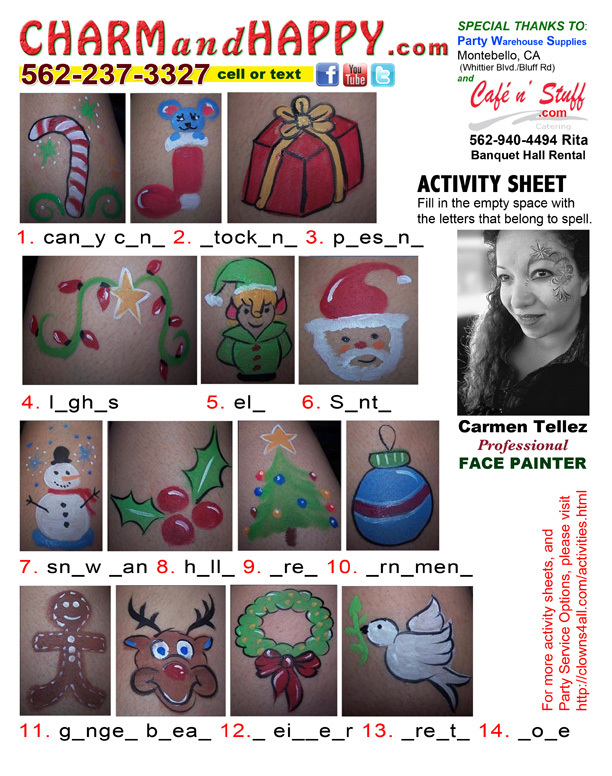 Cat faces have always been the most asked for face painting design with face painters in Menifee CA. There are so many kitty face ideas that can be painted on little tiny children to older Cougar ladies (wink!). Any range of colors can transform a face to fit any personality. Tiger, Cheetahs, Siberians, etc. 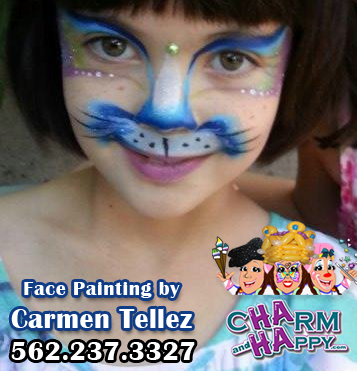 are just a few breeds of cat faces that children request. They get sooooo excited when they are shown a full variety of other species to paint either as a mask, paint on hand, full face or even just a cute or sassy cheek painting. 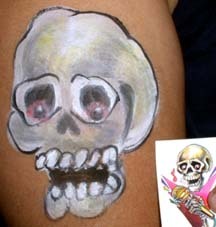 Airbrushing is a fast method of face & body painting. 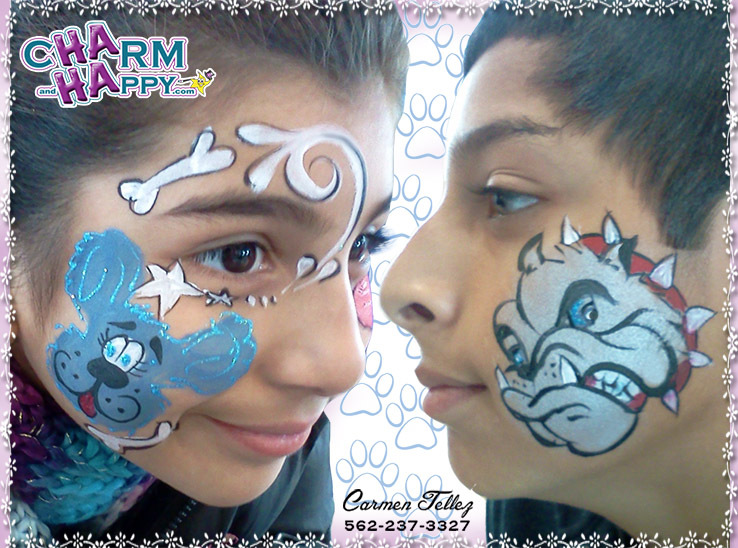 The event celebration and number of children depends on whether the best airbrush choice would be freehand, black ink stencils, multi color stencils or a mixed option. Designs can be chosen either from a menu board, a size selection or a theme to match the celebration. 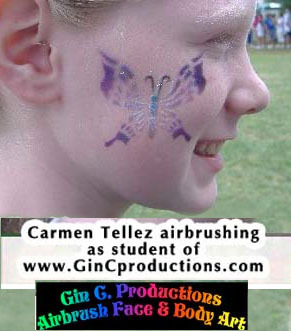 Carmen face painter in Menifee CA has a pep in her step when applying airbrush tattoos or spraying on a unique image. Swimming parties, pool parties, wet jumper slide parties all are fun and dandy, BUT bad for traditional face painting. 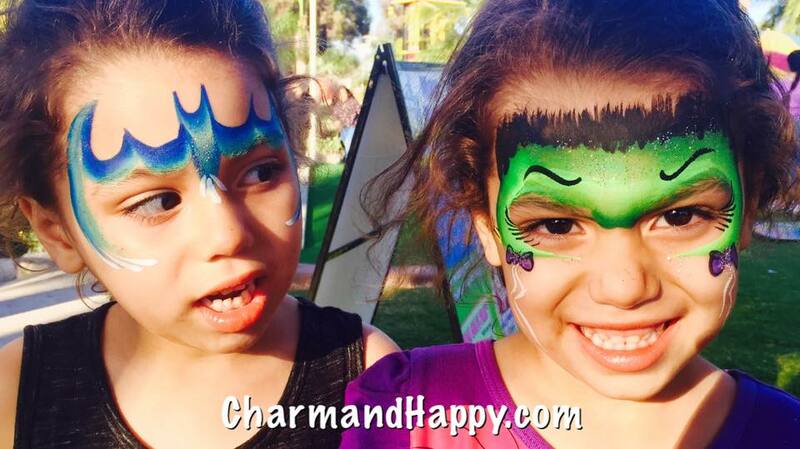 Children CRY when their oh so Loved so much face painting smears or wipes off easily. 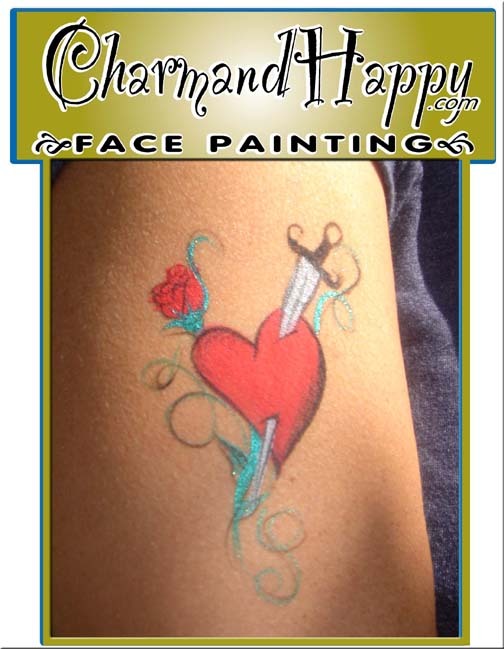 CharmandHappy.com usually paints with water based, easy to wash brands. 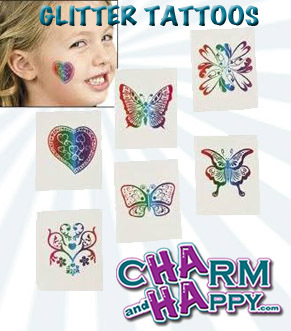 For wet parties, we suggest GLITTER TATTOOS. They last all day. They can last for a few days or remove with a special fast remover we tell you about at the event.